As the popularity of the bland unfood at McDonald's has taught us, marketing is most effective when the product marketed is a blank canvas for marketing to paint its lies upon. Those billions upon billions of hamburgers have been sold not because they are tasted but because they are consumed and because they only offend those who taste food rather than simply consume that food. In other words, almost no one. Which brings us to the encroachment of Dunkin Donuts coffee upon the world. It has all of the flavor of a cup of hot water, but it also never tastes burned or "too strong" for the grandmas of the world. Cops can drink it all night long and every cup tastes as satisfyingly flavorless as its predecessor. Oh, did I profile? Like the donuts that they accompany, Dunkin Donuts coffee is that blank canvas that we are told that we love. 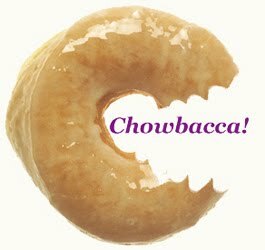 While the donuts keep their place, however, the coffee is loosed to the seemingly endless coffee craving of the masses. In all of my years of flying I have never had a remarkable cup of coffee on any airline anywhere in the world. No, not even Virgin. Nor have I ever had anyone remark on any airline's coffee. It was always, simply, the only game in town. 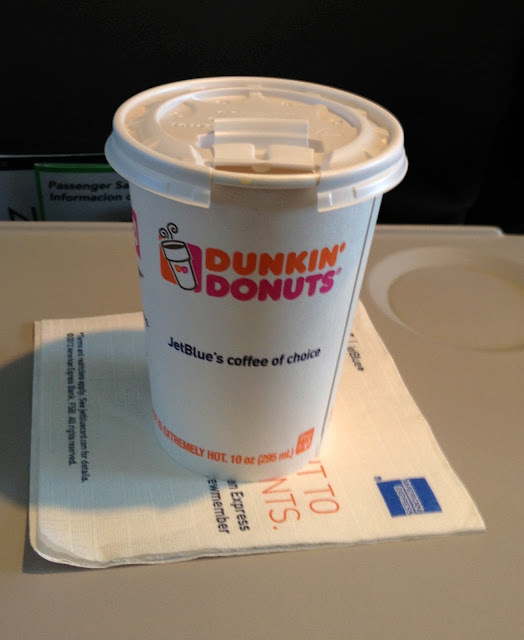 Still, when "JetBlue's Coffee of Choice" was placed before me on a recent flight the only game in town felt like arena football. The coffee's flavor wasn't in the cup, it was written on the cup.